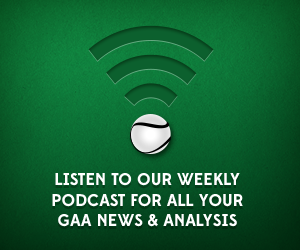 On this week’s podcast Conor, Pearse & Mick have a look at Limerick’s impressive win over Tipperary in the Munster SHC, the Leinster SHC & SFC matches, Antrim’s last game at the old Casement Park in the Ulster SFC & the Hurling finals in Croke Park. The lads also discuss in detail their thoughts and the possibilities of Donal Og Cusack’s suggestion of a “Team Ulster” competing in the Liam McCarthy Cup. Email info@gaascores.com or tweet @GAAscores for all your comments. You can also subscribe to us on iTunes here. Pingback: Team Ulster: Yes or No?